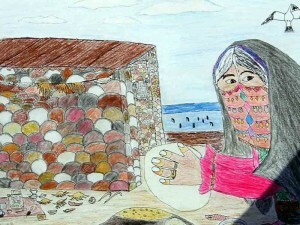 Sadea is a young Bedouin woman and a budding talent. 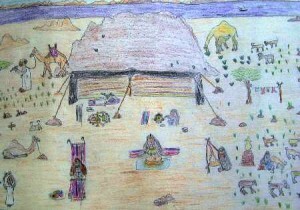 Since her youth she likes to paint whatever she sees using all available material, which is often just a plywood wall of the surrounding huts and a piece of coal from the campfire. If she and her mother are lucky with selling some of their embroideries to tourists, she can buy some good paper sheets and colored pencils. 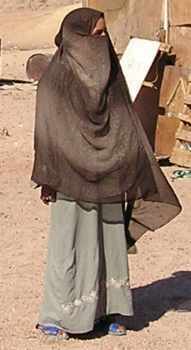 She belongs to the Mzeina Bedouins, a tribe of warrior, goatherdresses and fishermen living on two coasts of the Red Sea, the Gulf of Aqaba and the Gulf of Suez and the mountains between – ancient granite cliffs in the Sinai inland. 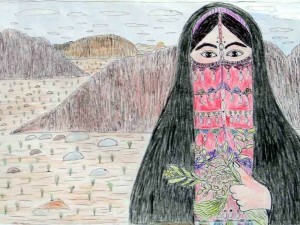 Sadea is a self-taught artist, who succeeded despite all odds, to overcome the patriarchy and poverty and develop her own artistic language. 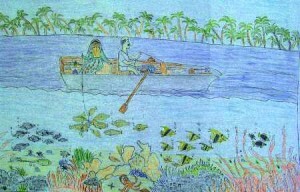 Her primitivist-folkloric style, unique to indigenous artists, portrays a disappearing culture that clashes with the forces of modernity. 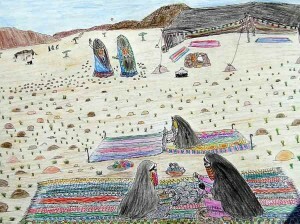 Her naive drawings describe scenes of Bedouin life and the lush corals reefs around them.Some of her paintings illustrate the life of the Bedouins far better than any of the many (and often marvelous) books about the Sinai. Sadea is selling her pictures! 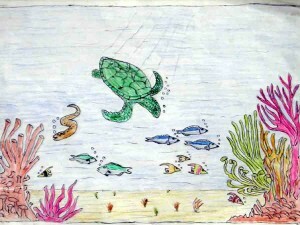 All paintings from this page are for sale by Sadea! Other motives available. direct sale – all income will go directly to Sadea!